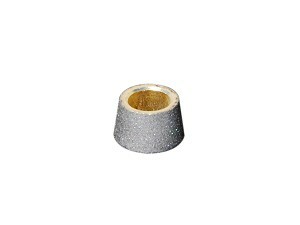 Specialty Diamond Grinder Head = 18º lamp bit for your Glastar Starlet (G5) grinder. Shapes edges of glass to fit into lamp and box patterns. Made in the USA by Inland. Inland product# 40022. *Does not fit any other grinder.